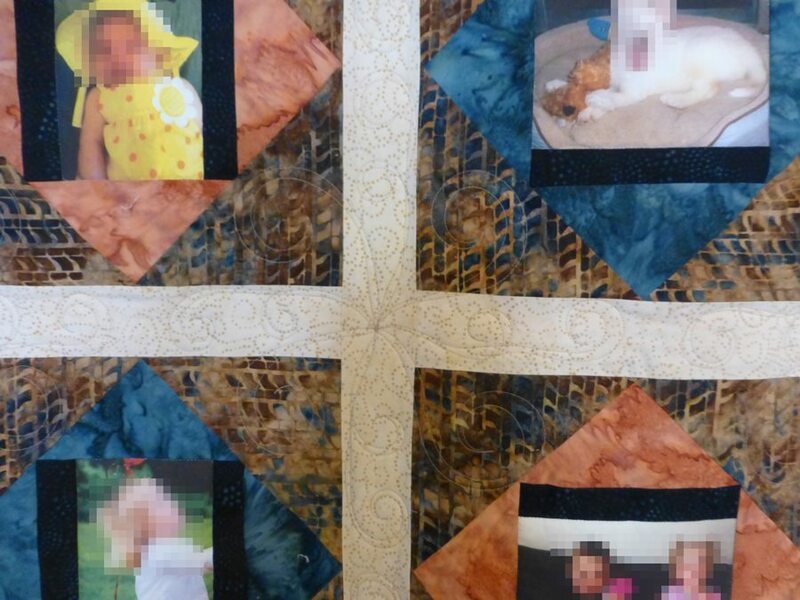 This stunning quilt has hand-embroidered baskets stitched by the owner’s aunt. 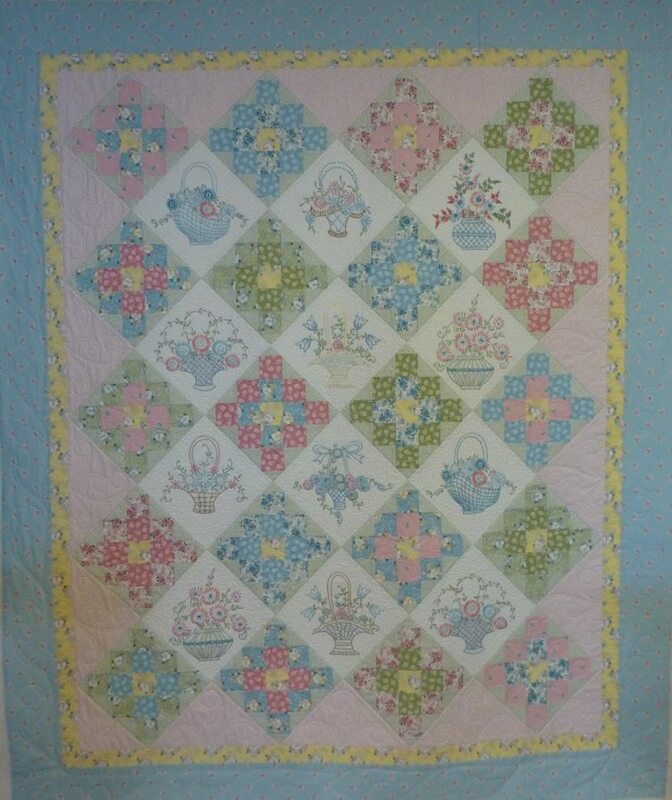 A very special heirloom! 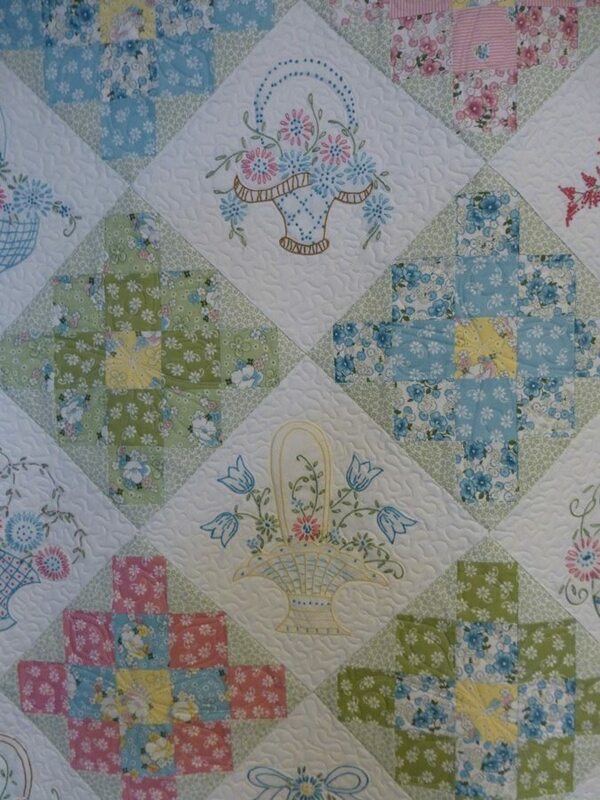 The pieced blocks have a freehand quilting design and the embroidered blocks have outlining and a small meander. 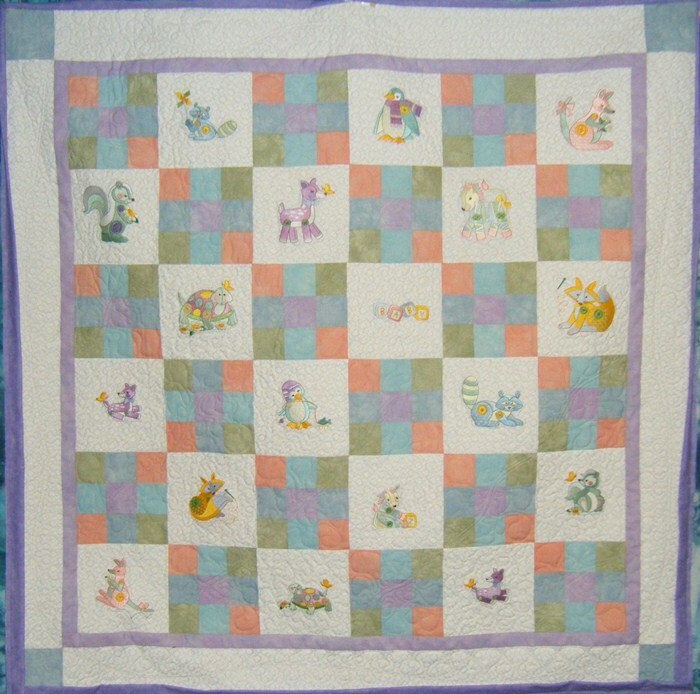 The setting blocks and borders are a freehand quilting design to compliment the pieced block quilting design. 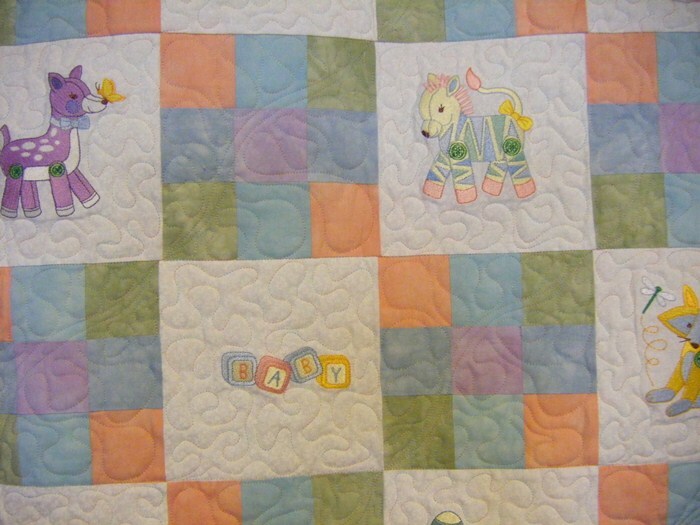 It is 45″ square with 6″ blocks and 6″ Nine-Patch blocks. 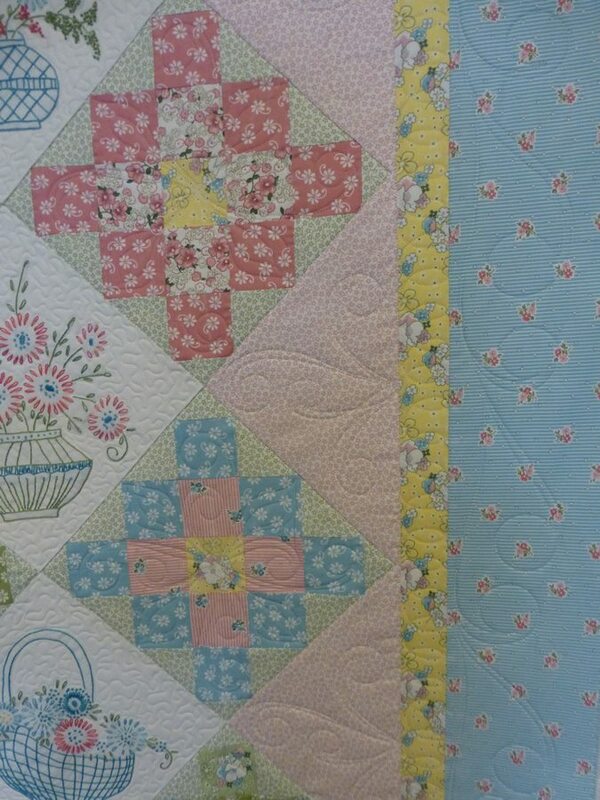 The pieced blocks have a freehand quilt design that coordinates with the border quilting. 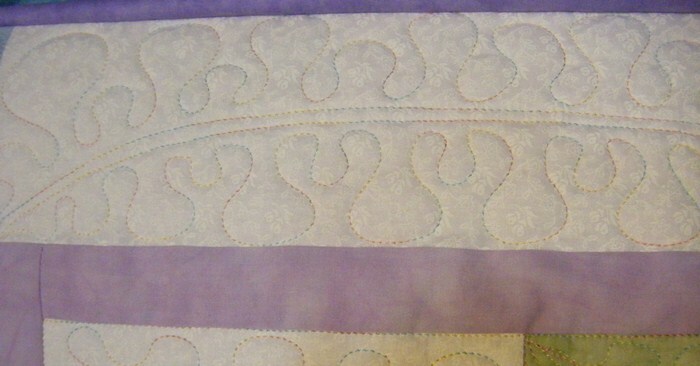 I added meander quilting around the embroidery. 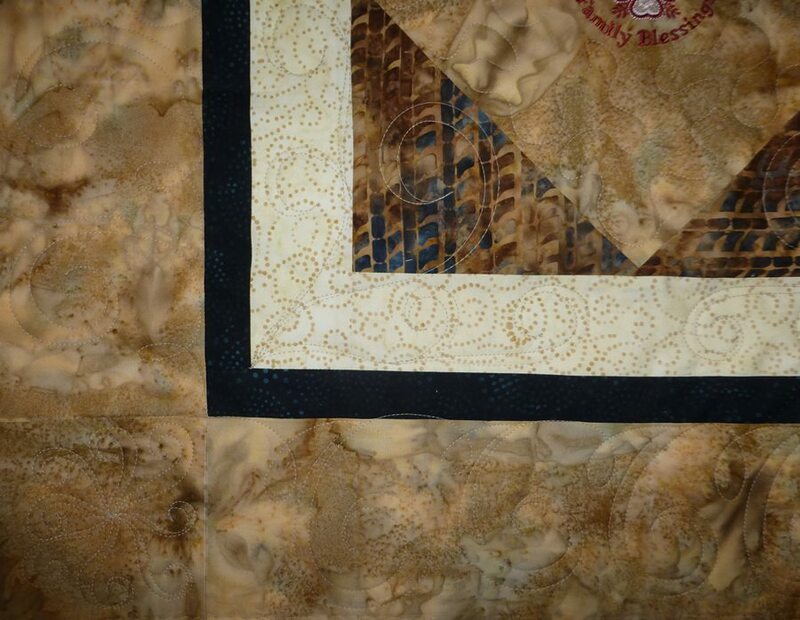 A new border…. and I like it! 🙂 I used a pastel variegated thread with a touch of shimmer to it. 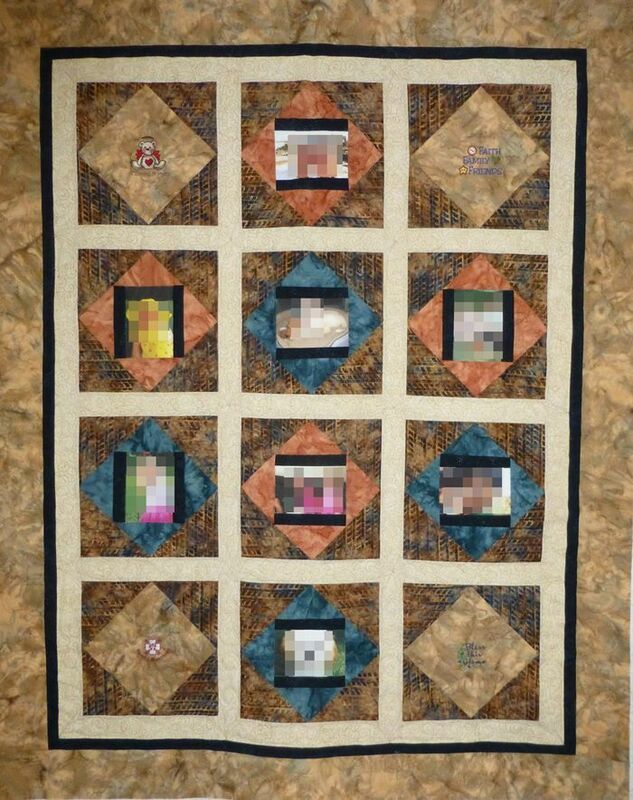 Love the effect of Superior Rainbows thread! !